Yes, you read it right. 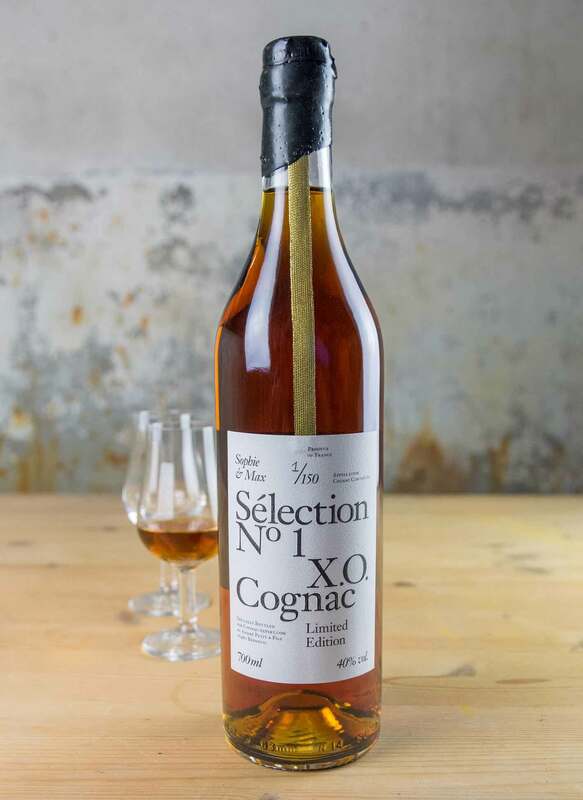 After the incredible success of our first very own limited edition Cognac at the end of 2017, we’re currently working with another amazing Cognac producer to bring you a second one. 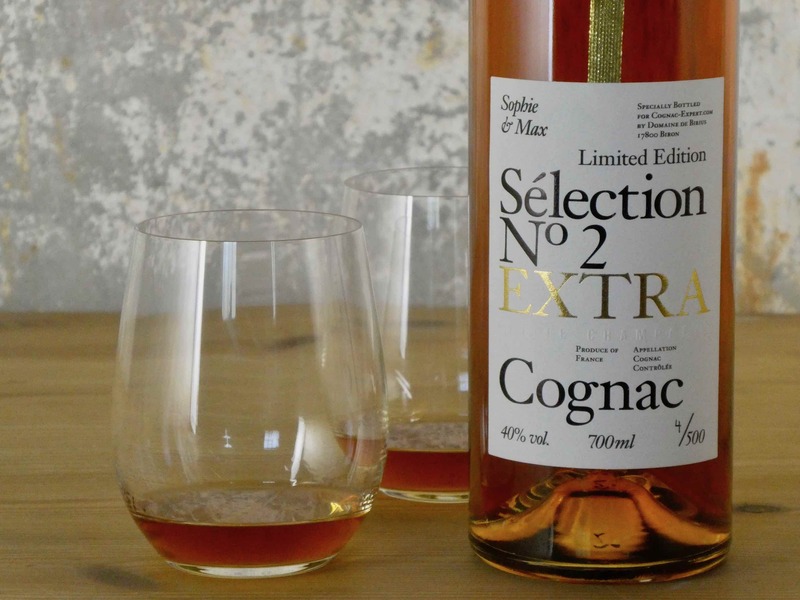 Drum roll please, for the production phase of the much anticipated, Sophie & Max Sélection N° 2 Cognac. Go to the shop and buy the bottle – now available! Once again, we’re only producing this much anticipated Cognac in a strictly limited edition. Not for us the bottling in the thousands. Or the, ‘Oh, we’ve sold loads so let’s make a few more’. Our first offering was capped at only 150 bottles, and these were snapped up by our loyal readers. Sélection N° 2 will be offered in a higher amount. 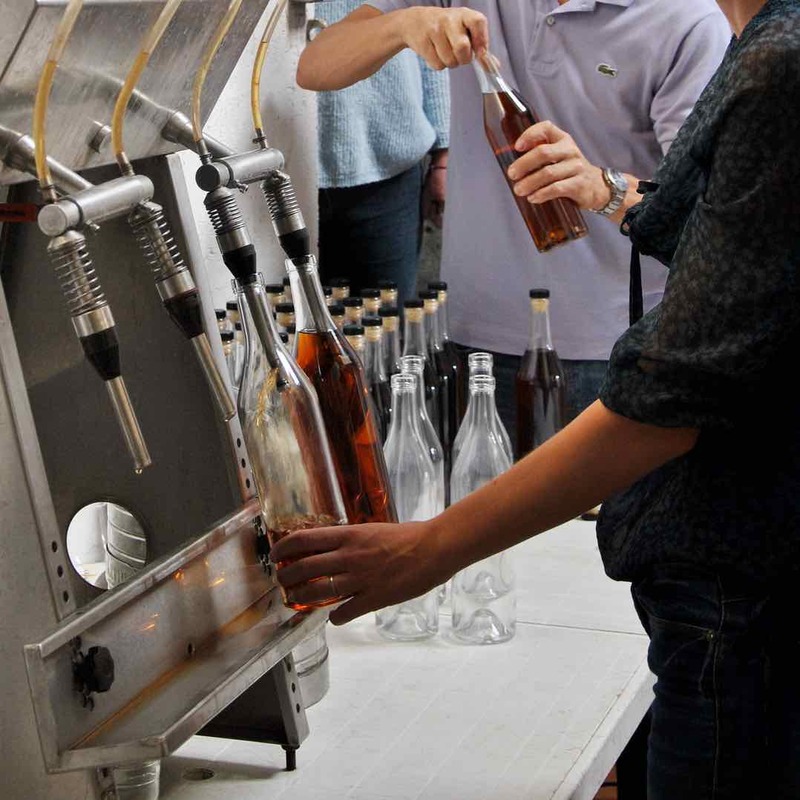 And rest assured that each bottle will be lovingly bottled, numbered, and logged. As with the first edition, Sophie & Max have personally helped select the exact blend. And we created the label and the packaging. 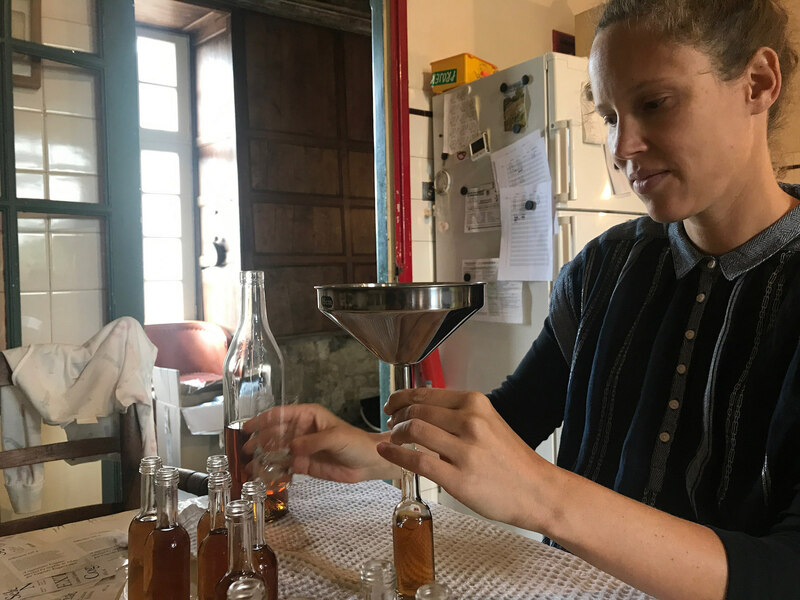 Sophie prepares some samples for the press. Obviously this is not the actual ‘bottling’. The very first bottle of Sophie & Max Selection N° 1. We can’t wait to show you N° 2. Now, we’re not ready to release the full details just yet. But we can tell you a few things about the wonderful artisan producer with whom we’ve collaborated. It’s a family winery—one that’s been awarded multiple awards and medals in the best of industry competitions. Their vineyards are more or less in the heart of the Cognac region. The family is passionate not only about producing amazing Cognacs, but also about practicing responsible and sustainable viticulture. 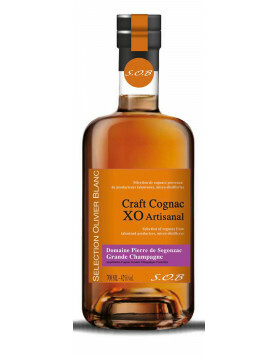 So what can we tell you about the Cognac itself? Well, even though we’re currently sworn to secrecy, we’re going to leak a few tantalizing facts. First and foremost, it tastes fantastic and is very different from N° 1. Once again, we’ve gone through an extensive period of sipping, tasting, contemplating, and yet more tasting to reach that happy nirvana that we’ve all agreed makes the final product. (Again, it’s one of the more arduous tasks we have to undertake, but hey—someone’s got to do it). 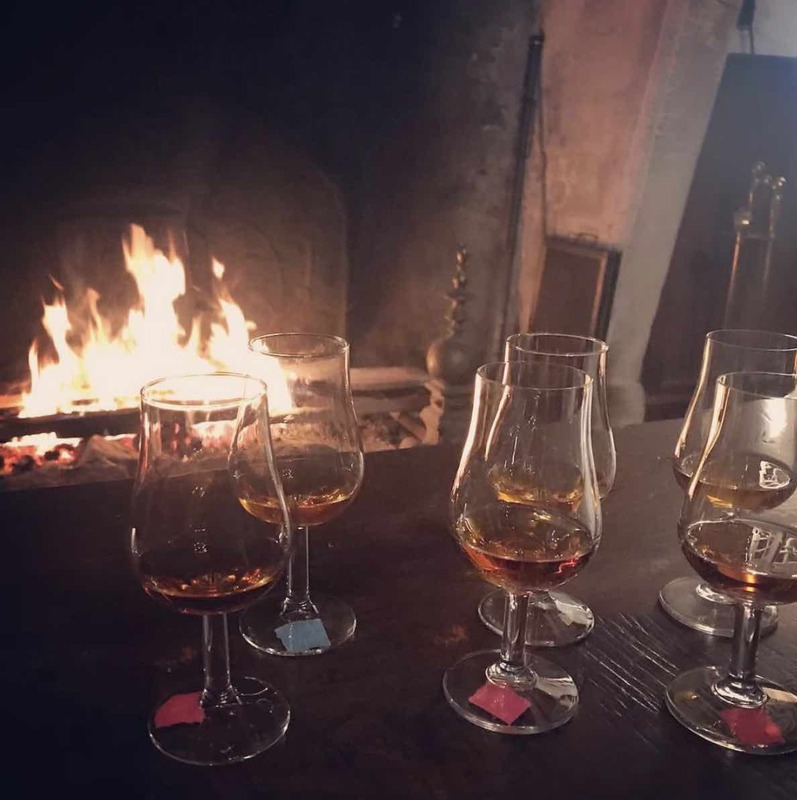 We eventually narrowed it down to a blend of three age specific eau-de-vie that together gave just the right aromas, palate, and finish that the team collectively adored. Of course, we have to give full credit to the wonderful talents of the Cellar Master in the making of this wonderful blend. Without this experience, such a masterpiece would be impossible to create. Remember, the only place to buy it will be via our online shop. If you were lucky enough to be one of the elite ‘gang’ who got your hands on a bottle of our first limited edition, then we’d love to hear your comments. And being as we had such great feedback on it, we’re fully expecting demand for Sophie & Max Sélection N° 2 to be even greater. Go to the shop and buy the bottle – now available!